"Speedway Motorsports takes great pride in revolutionizing the fan experience at all of our best-in-class motorsports entertainment facilities," said Marcus Smith, President and CEO of Speedway Motorsports. "Matt is an invaluable part of those efforts at Charlotte Motor Speedway. 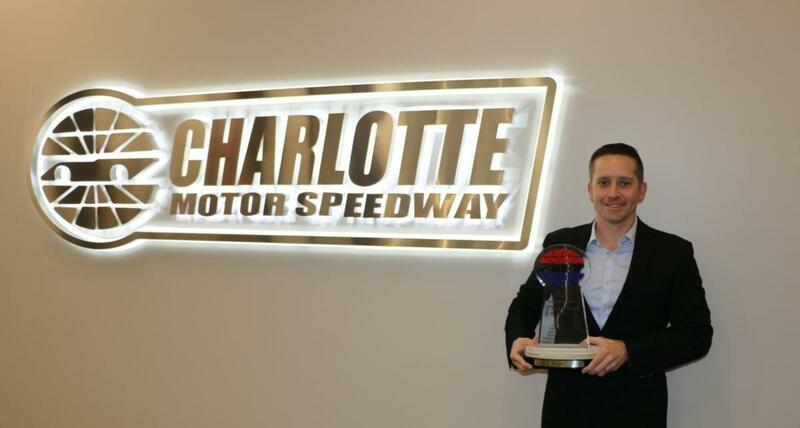 His hard work in organizing and managing Charlotte's events truly set him apart after a remarkable year that included extensive planning surrounding the wildly successful Bank of America ROVAL™ 400. He is certainly deserving of this special award." Annually presented to one employee across all of Speedway Motorsports, Inc. and its subsidiaries, the recipient of this prestigious award is someone who exhibits Speedway Motorsports' Executive Chairman and Founder O. Bruton Smith's traits: character, enthusiasm, drive, a heart for helping others, respect/appreciation for team members, vision and determination. A native of Granby, Connecticut, and a 2006 graduate of Wingate University, Greci joined the speedway in 2006. His initial responsibilities included coordinating track rentals and corporate suite management. Prior to taking on an enhanced leadership position, Greci also served as zMAX Dragway's manager from July 2008 to October 2011. 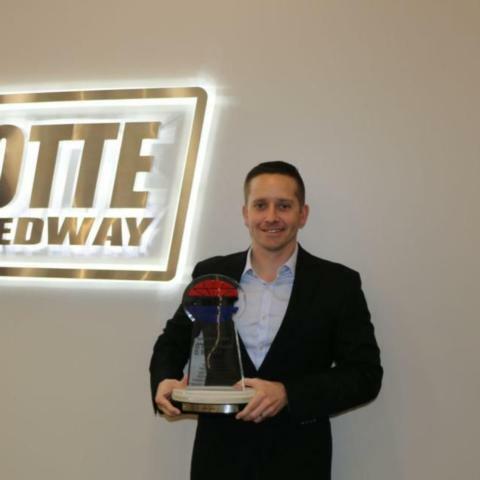 In his present role, Greci oversees development, execution and enhancement of both major speedway events and daily operations at Charlotte Motor Speedway, The Dirt Track at Charlotte and zMAX Dragway. Greci also manages the booking and management of pre-race concerts and appearances at speedway events. "It is a tremendous honor to receive the O. Bruton Smith Award," Greci said. "I feel privileged to have been a part of the Charlotte Motor Speedway family for more than a decade. Every year, the events department works hard to make sure the speedway builds on its legacy of unrivaled entertainment, and everyone in our department shares in that success."